Our equipment is top quality and durable. We carry a full line of mats and pads. From stretchers to rebreakable bricks we have what you need for your martial arts training. 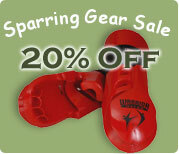 We also carry equipment to meet your needs for boxing.